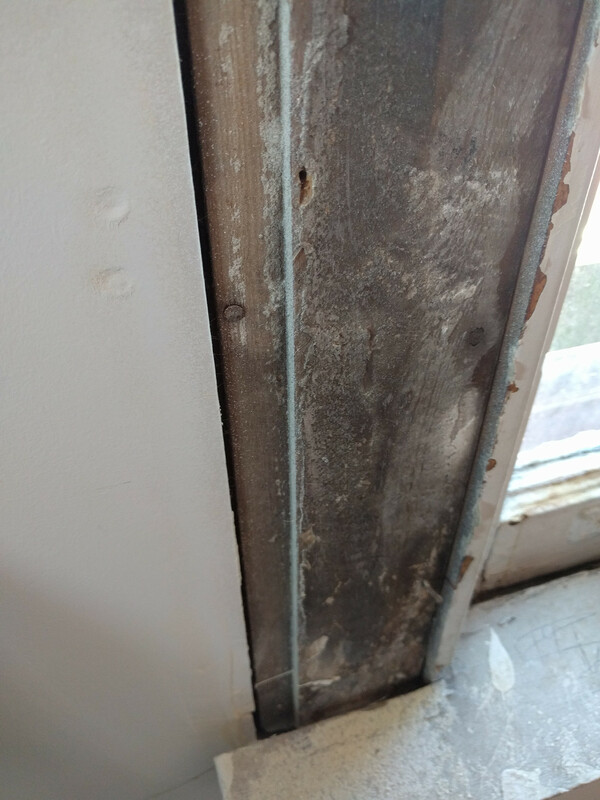 Rehabbing old plaster and lath walls; drywallers did a good job but left a gap around window screed: this is the wooden border to which horizontal lath board was attached and which received plaster filling. I didn't realize I had a problem until I noticed that the window trim was designed to overlap the raised part of the board exactly, leaving an ugly gap (seen above on the left side of the board). I see two options to fix: plaster and fiberglass mesh tape, or should I pull the boards and cut them down, then drywall thin pieces in? The drywall would then tuck under the window trim and I might get a more consistent look. Note that vertical furring strips will allow for a narrow piece of drywall of a few inches. Browse other questions tagged windows plaster trim lath-and-plaster mudding or ask your own question. Can I demo plaster walls but somehow keep the window casing?